'Tis the season for falling in love! Lauren & Michael met in college at an ugly Christmas sweater party. Lauren was standing with her friends when a group of guys entered the room. Immediately, one of them, whom Lauren didn’t recognize, split from the pack and swooped in towards her. All of a sudden, he got down on one knee, grabbed Lauren's hand, and kissed it! Talk about a first impression! Well Michael's romantic gesture sure worked because these two are getting married! 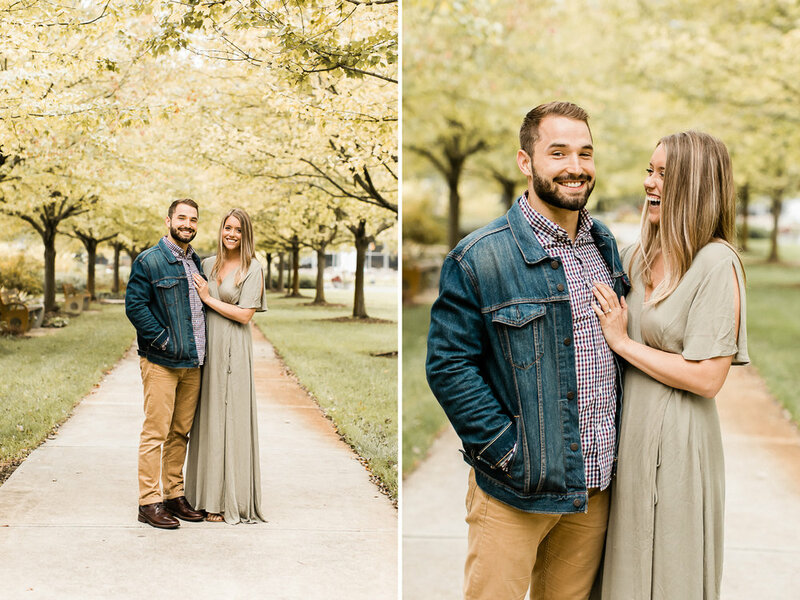 Capturing Lauren & Michael’s engagement session was the epitome of fun. They were constantly snuggling and kissing and using their favorite phrase “aderble gerbil” to crack each other up. It was so stinkin’ cute! Lauren & Michael are such a happy-go-lucky pair and I could not be more pumped for their Garment Factory wedding next September! If you enjoyed this post, check out these!